Many years ago, Sony’s amazing Clie UX50 was my companion; it was with me wherever I went. Eventually replaced by an iPod Touch, the UX50 served me well for a number of years, and wasn’t retired without a well deserved goodbye. 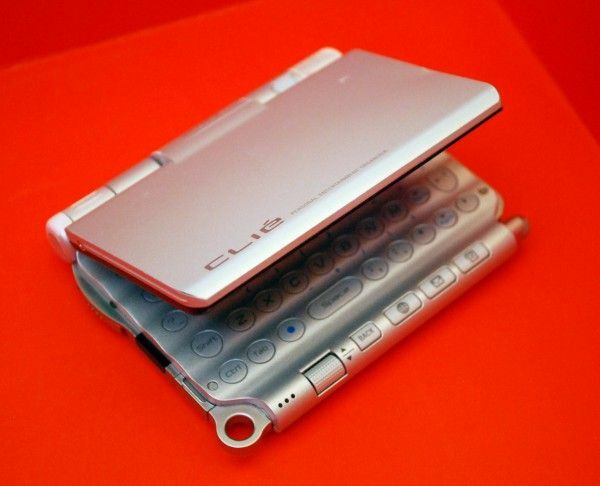 Ironically, the Clie UX50 was a Palm powered device. It’s amazing to see what changes Palm has gone through since the Clie UX50. Looking back at it, the combination of Palm software and Sony hardware made some amazing synergy. With the announcement that HP is discontinuing WebOS hardware (and rumors that it will be trying to license the software to third-party hardware manufacturers), perhaps now is the perfect time to look at this device and see what Palm software + third party hardware can really do. Regardless of what happens in the future, nothing can change the UX50 was an excellent device. It was beautifully designed, and the form-factor couldn’t have been more useful; flip the screen around and fold it down when you don’t need the keyboard, or use it as a stand for viewing media. The UX50 had the best thumb-board on it that I’ve ever used. There’s plenty of awful form-factors being copied in the mobile market today; I’m quite upset that no one has stolen this excellent design from the UX50. And with that, I leave you a gallery of UX50 photos. A testament to the device, or perhaps, a monument. I leave it here as thanks to the device and thanks to past-Sony. Maybe someone will look upon these photos and see the beauty I see and realize that there’s a lot to learn from some of our older companions. I just hope this article doesn’t become the device’s grave, for parts of it certainly deserve to rise again in new hardware. Or maybe I’m just too attached. The Sony UX50 was cool, but so was the Zaurus…… slap a dual core arm processor in that and I would purchase more then one!! !